The North American Lutheran Church (NALC) is entered into an agreement with faithwebbing.com to provide children, youth, and family ministry consultation for NALC congregations. Faithwebbing.com is a congregational youth and family consultation ministry offered by Gary and Laurie Pecuch of St. John’s Evangelical Lutheran Church, Grove City, Ohio. Together with faithwebbing.com, we are trying to meet the needs of congregational youth and family ministry in the 21st century. What does this mean for our congregation? The NALC Youth and Family Ministry Task Force has identified four cornerstones and focus areas to resource congregations locally. This partnership is meant to provide free access for each congregation to faithwebbing.com, one copy per congregation of Gary and Laurie’s books “Faith Webbing” and “What’s In Your Bag,” free access to webinars, consultation and more. Create an account on the NALC Network and join the FaithWebbing.com Group for updates, news, instructions on how to gain access to the website, and free resources. Attend one of the webinars (more information available on the NALC Network). We call it “Faith Webbing.” Our vision is to wrap our children and youth in a web of faith so loving and so caring that they will know Jesus and always want to be a part of a local congregation. The goal of “Faith Webbing” is to envelop our children and youth with as many inter-generational faith relationships as possible. It has been said that it takes a village to raise a child. From a spiritual perspective, we believe it takes a congregation. A congregation dedicated to filling the relationship voids of our children and youth. We are becoming a church family of spiritual grandmas and grandpas, moms and dads, brothers and sisters, and nieces and nephews walking with each other through the ups and downs of life as we strive to deepen our relationship with our savior. Outcome Based Youth Ministry is a long term strategic design for equipping children and youth with the necessary faith skills to live out their personal calling in life. It fulfills the biblical mandate of church leaders found in Ephesians 4:12­13 to equip its members to do the work of the church and build up the body of Christ. 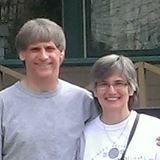 Long term youth directors Gary and Laurie Pecuch have developed a list of over 30 faith skills that they intentionally build into young people. The intention is to partner with parents to develop a personal ministry plan specifically designed for their child that spans the spectrum of ages from preschool through high school and beyond. This personal growth plan is a tool used to define the essential assets needed to love Jesus, gain self-awareness, serve others, and glorify God. Gary and Laurie have tweaked their definition of youth ministry. They now believe that youth ministry is “Youth Doing Ministry,” and every time a young person is in their presence a faith skill should be introduced, encouraged and/or enhanced. They also take the story of David and Goliath and focus on the fact that God chose David, a young man with a specific skill that he had been practicing for much of his life, the stone and the sling. God worked through David by focusing on what David knew how to use. Thus, like David, we hope to fill the faith bags of teens with faith stones that they have been trained to use. They want youth to be able to confidently reach into their bags and pull out a needed Faith Stone. This preparation can be anything from stepping forward to say a table grace at mealtime to making good decisions based on their personal written standards to stepping up to facilitate a Bible study for a group of friends. Once children and youth have a basic understanding that we live in a broken world and that God has chosen to work through us to help piece this broken world back together, they want to make a difference. They are willing to get involved in meaningful service to others. Taking youth to places that break the heart of Jesus breaks their hearts as well. It may be soup kitchens, homeless shelters, food pantries, assisted care facilities, children’s homes, etc. We find that youth respond compassionately when they are exposed to the hurts and pains of this world. They thrive when given the opportunity to be the hands of Jesus. In addition, getting involved with meaningful service to others typically leads to young people getting connected with multiple generations of members, gives them a chance to further develop their faith skills and helps them to become immersed in the life and mission of the church. Unfortunately, issues of sexual misconduct happen far too often in American churches. Church Mutual, the largest congregational insurance provider, received about 100 sexual misconduct claims in 2007. In 2014, Church Mutual received an average of five sexual misconduct claims per week from customer congregations. That is over 200 claims a year from just one insurance company, more than double the number of claims in 2007. Safeguarding children and youth in a church setting is a real issue that needs direct and specific attention. Most states have laws on the books that churches are required to follow, and most insurance carriers have specific recommendations when it comes to safeguarding children and youth. Unfortunately, many congregations have chosen to ignore the new safeguarding world that we live in. Despite regular headlines in the news regarding accusations of sexual misconduct, congregations continue to function under the misconception of “that wouldn’t happen here.” The end result is that there are many congregations that have left their children, youth, volunteers, staff and the church as an entity vulnerable to sexual misconduct incidents and potential lawsuits. One of faithwebbing.com’s roles is to help congregations understand the safeguarding laws and the need for creating a Best Practices Safeguarding System for their congregation—one that keeps two very important people happy, their congregational insurance agent and their congregational attorney. For more information join the Faithwebbing.com Group on nalcnetwork.com.